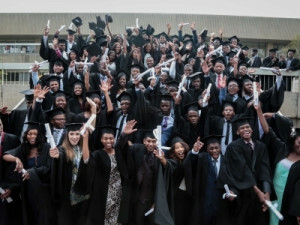 Students, SAP Africa partners, customers and executives gathered at Eskom's Megawatt Park in Sandton for the SAP Skills for Africa graduation ceremony which celebrated the completion of an intense three-month digital skills training programme. Now in its sixth chapter, the job creation initiative provides sustainable jobs to alleviate Africa's unemployment crisis and included SAP partners and customers such as Eskom, Zimele Technologies, T-Systems, Britehouse, EOH, Accenture, Bosch, Clariba, Consnet, ICTWorx, Cornastone as well as MICT SETA, the government body which facilitates and accelerates the processes of quality skills development at all levels in the MICT sector. "Seven of the 10 fastest-growing economies are on the African continent. By 2020, 80% of jobs are expected to come from the Science, Technology, Engineering and Math (STEM) field. We are all compelled to join forces and ready the workforce of the future, if we want to realise the continent's economic potential. The SAP Skills for Africa programme is a vehicle which actively addresses both technology skills development and job creation and it continues to grow as more partners and customers participate in various geographies," said Lawrence Kandaswami, Managing Director for SAP South Africa. Adding to Kandaswami's comment, Elsie Pule, HR Group Executive at Eskom said: "Africa has the fastest growing working-age population and the challenges facing even the most motivated youth are formidable. In South Africa, digital education is not accessible for all and we are extremely proud to play an integral role by offering classroom facilities, a state of the art venue to host today's graduation ceremony, and more importantly - provide a year's internship to more than 18 students." "In Africa, our youth have limited opportunities to better themselves and the only way up is through education and employment", said Ebrahim Laher, Managing Director at EOH SAP. "As we know - millions of South Africans and people across the continent are unemployed, and we therefore welcome the SAP training that is offered. Digital skills are critical precursors to the growth of developing economies and I am incredibly excited to be here today as we take the next step forward and offer employment to our qualified graduates." The SAP Skills for Africa programme was recently awarded the 'Hasso Plattner Founders' Award, which acknowledges innovative programmes globally. True to SAP's vision of "Changing Lives", the SAP Skills for Africa programme has placed 418 consultants in employment to date, with more chapters planned in Francophone, East and South Africa in 2017. Collin Govender, VP for Sales and Service Management at T-Systems said: "T-Systems understands that technology is a radical game-changer and that it facilitates the Digital Transformation process. Our future business leaders need the training and qualifications to pursue careers in the ICT fields. 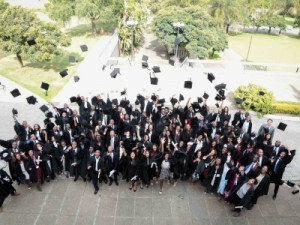 This initiative supports disadvantaged students to develop a future focus and because it delivers highly skilled, business-ready graduates, it enables our organisation to offer our customers the highest levels of skilled services." "A key success factor to this programme, is the partnership between the public and private sector. With the financial support of MICT SETA since 2012, the SAP Skills for Africa programme has continued to gain momentum," said Dion Kalicharan, Managing Director, Consnet. We are pleased to partner with SAP, government and other private sector organisations, to enable these graduates to become active contributors to our economy." Kandaswami applauded all involved for their commitment to the programme and concluded by saying, "SAP Africa is dedicated to digitising Africa. It is a privilege to congratulate these 101 students who displayed tenacity, dedication and commitment throughout their training programme. We wish you all success in the journey ahead." For more information visit the SAP News Center. Follow SAP Skills for Africa on Twitter at @Skills4Africa.